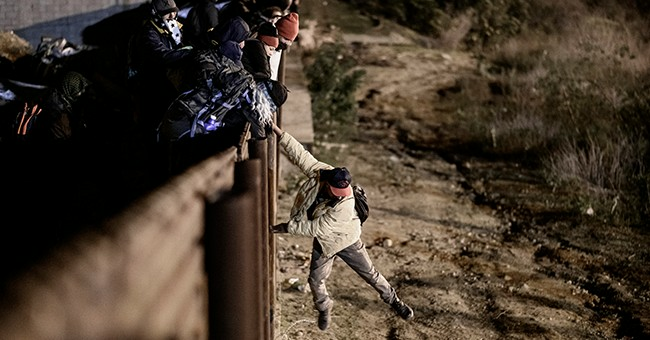 More than 76,000 immigrants illegally crossed the border in February and about half came with families, a 10-fold increase over the past two years. Border apprehensions in March probably exceeded 100,000, the highest monthly total in a decade. At the current rate, border apprehensions will exceed one million this year—the most since 2006—as human smugglers become more ambitious and reduce prices to entice more migrants...The Ninth Circuit in 2016 created other opportunities for asylum arbitrage by extending to families the 1997 Flores settlement, which limits the time unaccompanied children may be detained to 20 days. This has encouraged parents to bring their children on a perilous journey in hopes of expediting their release into the U.S. A father of an eight-year-old boy who died in government custody last December while waiting to be processed had heard rumors that children are a fast-track entry ticket to the U.S. Border agents have identified 2,400 “false families” over the last year as smugglers pair adults with unrelated children. Border Patrol has reached a "breaking point," with detention facilities totally overwhelmed and overrun, resulting in the release of hundreds, if not thousands, of illegal immigrants into the US interior. We have no place to put them and no capacity to process them in a timely manner, under our current, broken laws. The word has gone out that arriving in America with a child, and claiming asylum, is a golden ticket into the country. People have adjusted their behavior accordingly, leading to the chaos that's currently playing out. If Castro's policy were implemented, imagine how the incentives would tilt even further in favor of encouraging illegal immigration. There would be virtually no risk of criminal penalties for violating our sovereignty as a matter of course, there would be fewer physical barriers to avoid, there would be fewer officials tasked with stopping you, and you would be far less likely to be detained than to be cut loose into the United States with a future court date in your pocket.